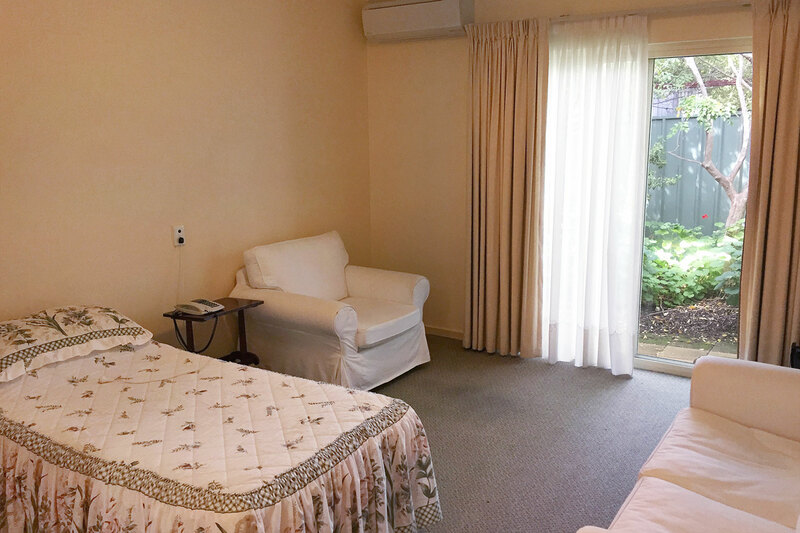 A single bedroom supportive care apartment with courtyard and garden access through back door. 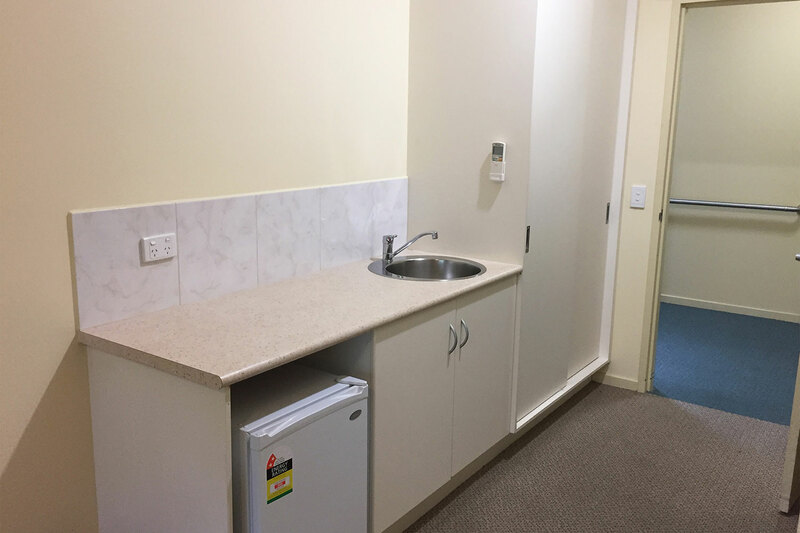 Unit 70 features built-in wardrobes & a private ensuite, as well as full access to Bellara’s Internet Cafe, communal Library, Billiards table, courtyards & the mobile Hair & Beauty salon who visits once a fortnight. 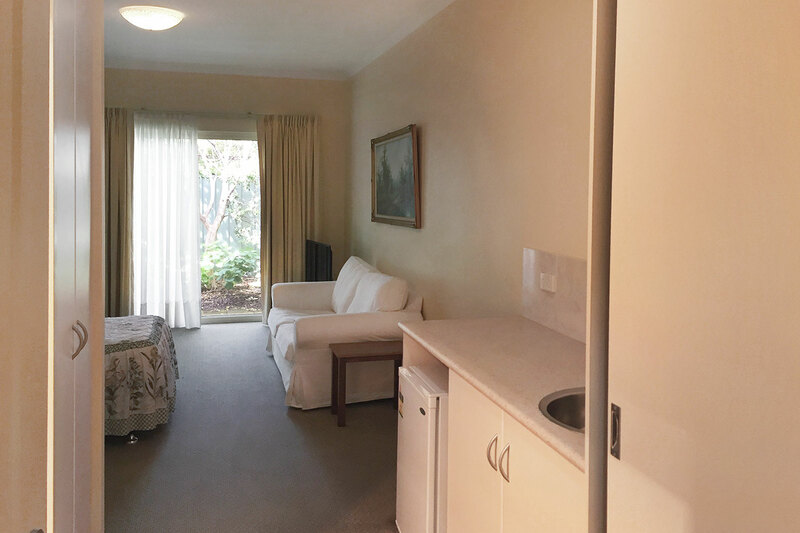 This unit is located at the rear of Bellara’s main building with views to our back garden with native trees and bushes. Enjoy shade in Summer from this large tree as well as beautiful views of our native Australian plants. You’ll feel right at home at Bellara with our qualified care staff or Registered Nurse on duty through a 24 hour period. All supportive care residents are looked after & have their needs met in a timely fashion no matter the time of day or night. In case of emergency, Bellara have a Call Bell System installed in every apartment, help is at the press of a button. 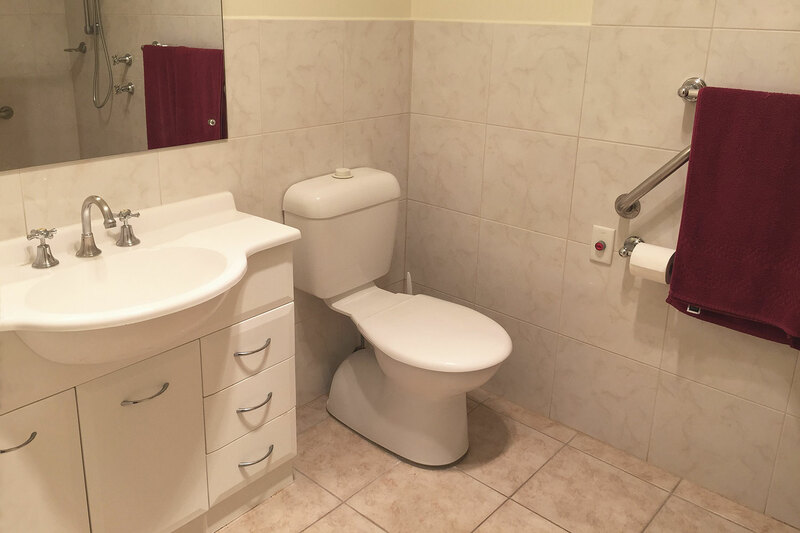 We also pride ourselves on assisting our residents as best we can; therefore we also offer medication & hygiene assistance where needed.